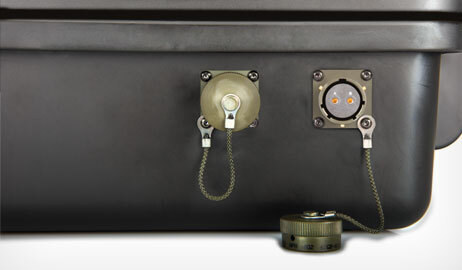 IP67 Waterproof PeliTM Case Kit using Amphenol circular MIL Spec connector system. 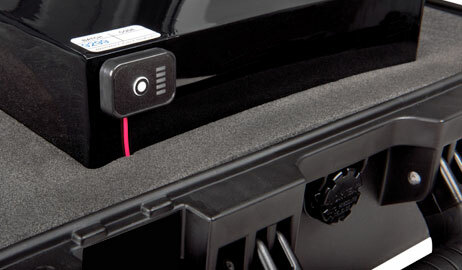 Professional power packs housed within a protective PeliTM Case. 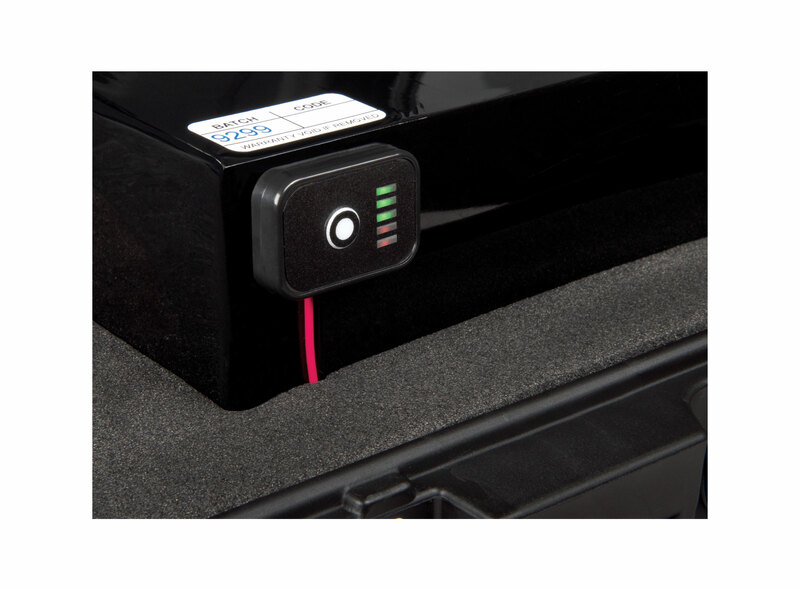 These battery packs are the portable solution, easy to carry and install. With an internal fuel gauge you can check the power level remaining in the battery. A touch of the button shows how much energy remains and whether you need to recharge. Internal cushioning protects the battery and its components ensuring you can deliver power in the most demanding of environments. 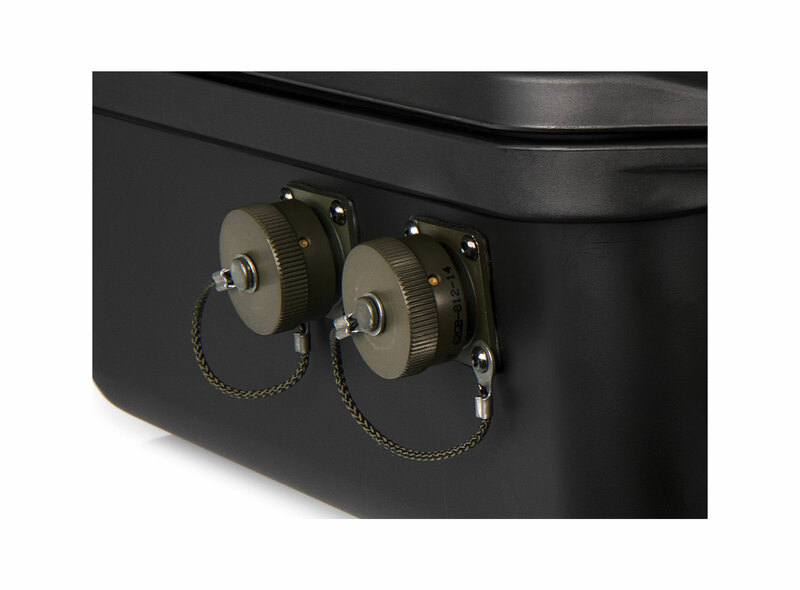 Each Peli™ Case is equipped with two Amphenol connections, each offering up to 20A continuous output at ambient temperature up to 25°C. A combined output of 30A can be achieved if the two connectors are used with a Twin Amphenol Output Lead (TR8185). Please note - if both sockets are being used as output connections the total current must not exceed 30A. As there are two connections, one can be used for output while the other can be used for charging, effectively making the battery an Uninterruptible Power Supply (UPS). Please note that when using as a UPS the output current must not exceed the charger’s current. Portable power that is easy to carry and install. If the output current required is greater than 20A use TR8185 to achieve up to 30A.